Does my subdivision need to file a budget? If the lid on restricted funds applies (your political subdivision asks for property tax or receives State Aid), you are required to complete the budget packet. If your political subdivision will not have a property tax request or receive State Aid as defined in section 13-518, you only need to complete the postcard to meet the budget filing requirement. You are still required to meet the audit or audit waiver requirement. Also, on or before December 31st each year, you are required to submit the Report of Joint Public Agency and Interlocal Agreements to our office. 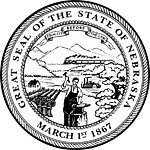 All forms can be found on our website (www.auditors.nebraska.gov). When and Where do I file my budget? When: Budgets need to be posted on or before September 20th each year. Mail – Submit a paper copy of your budget including any attachments necessary that are securely stapled together to: PO Box 98917 – Lincoln, NE 68509-8917. Submit Online – From our website (www.auditors.nebraska.gov) select "SUBMIT your Audit or Budget" from the left side of the screen and follow the steps. You will be required to upload a single PDF file that contains your budget along with any attachments. When do County Assessors' certify valuations? County Assessors' must certify valuations on or before August 20th each year. Do donations and other non-tax monies need to be included in the budget? 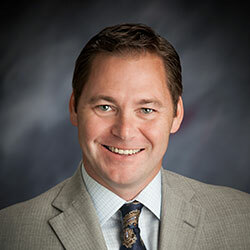 The Nebraska Budget Act requires the reporting of public funds which means all money, including non-tax money, used in the operation and functions of political subdivisions. Why does the County Treasurer's balance have to be included in the beginning balance? State Statute Section 13-504 (2) requires any funds held by the County Treasurer to be included in the budget. How do you add the County Treasurer's Balance and still have beginning and ending balances agree? You must determine the amount help at the County Treasurer's office at the end of the fiscal year and then include that as receipts for that fiscal year. This will then increase the ending balance and then you include as part of your beginning balance for the next fiscal year. Also, please refer to the Budget Form Instruction Manual. As a Municipality, when would I use the Summary of Proprietary Function Funds page? The Summary of Proprietary Function Funds page should only be used if the municipality files a separate budget for proprietary functions as allowed by the Municipal Property Function Act. Does my political subdivision need to hold a special hearing to change the tax request? Political subdivisions that have a levy limit (Counties, Municipalities, Schools, ESUs, NRDs, SIDs, and Community Colleges) and change their property tax request from the prior year request must hold this hearing. This hearing can be done on the same day as the budget hearing and we have included a combination hearing notice in the budget packets that can be used. Political subdivisions that must request levy allocation from a county or municipality (Fire Districts, Townships, Agricultural Societies, Airport Authorities, etc.) do not have to hold this hearing. What are the options for giving notice for the budget hearing? Publish this notice in a newspaper of general circulation. The notice must be published at least five days prior to the date of the hearing. If the notice is published, you must submit a copy of the affidavit of publication from the printer. Post at the governing body's principal headquarters. This option is only available if the total budget of disbursements and transfers does not exceed $10,000. LB 568, passed in the 202 Legislative Session, removed the ability to mail notices to each resident. Notices can only be published or posted. What needs to happen if the budget adopted is different from the published budget? If the adopted budget reflects a change from what was published, a notice of the summary of changes must be made within twenty (20) days after its adoption setting forth the items changed and the reasons for such changes. No public hearing is required as long as the summary of changes is published within twenty (20) days. If a summary of changes is not provided within 20 days, the budget has not been legally adopted. The governing body must conduct another budget hearing, giving proper notice, and re-adopt its budget. How do you amend a previously adopted budget during the fiscal year? The amount in dollars of additional or reduced money required and its purpose. A statement setting forth the nature of the unanticipated circumstances and, if the budget is increased, why the previously adopted budget cannot be reduced during the remainder of the year. A copy of the summary of the originally adopted budget previously published. A copy of the revised budget as adopted must be filed with the County Board and the Auditor of Public Accounts. What does the lid on restricted funds mean to my political subdivision? The biggest misconception about the lid on restricted funds is that the lid is on disbursements. There is no lid on disbursements. The lid on restricted funds is based on the amount of property tax and State Aid a political subdivision can receive each year. Can Bond Payments be used as an exception to the lid on restricted funds? Yes, but the payments must be made with a restricted fund such as property tax or State Aid. If a municipality is using water fees to make the payments, then those payments are not an exception because user fees are not a restricted fund. Can capital improvements that were used as a lid exception but not spent during the fiscal year be used again as a lid exception the next budget year? No, because you have collected the funds and the money is in the beginning balance and no longer a part of the lid on restricted funds. You must remember that you can only use exceptions if you are using restricted funds to pay for those exceptions.